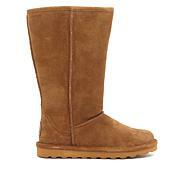 Enjoy the soft, relaxed look and feel of the Virginia bootie. 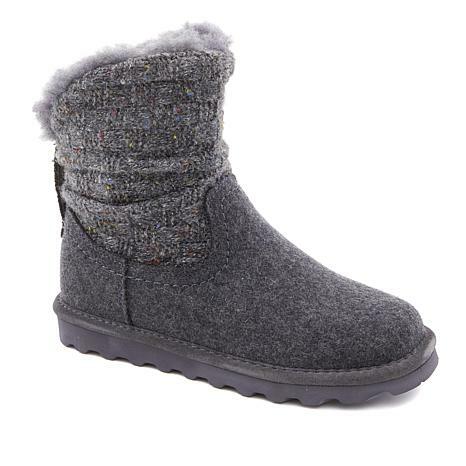 Pull it on and revel in a cozy wool-blend lining and sheepskin comfort footbed. This is my first pair of winter boots. Very comfortable. I would buy them again! Shimmer and shine! Beautiful sparkle and it gleams in the sunlight. I got the dark red. 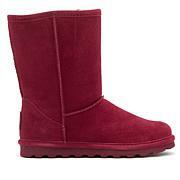 They are really comfortable and kept my feet warm and dry. Anything with Neverwet order it! It works very well. This color is gorgeous and w/ the Neverwet you dont have to worry about ruining it! I love these boots because you can wear jeans (even boot or flare) with them and they still look great! 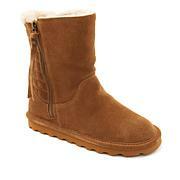 These boots are true to the standard Bearpaw sets: warm and cozy, while still being comfortable. I am slowly replacing all my old boots w/ Neverwet versions. What a great brand and new to me. I have 5 new pairs and love them! Can't wait to get the darling pair with the pom pom! I ordered the pink. The neverwet feature makes these the best ever!